On trend Printable Art 🐰 Save 30% instantly on 3+! 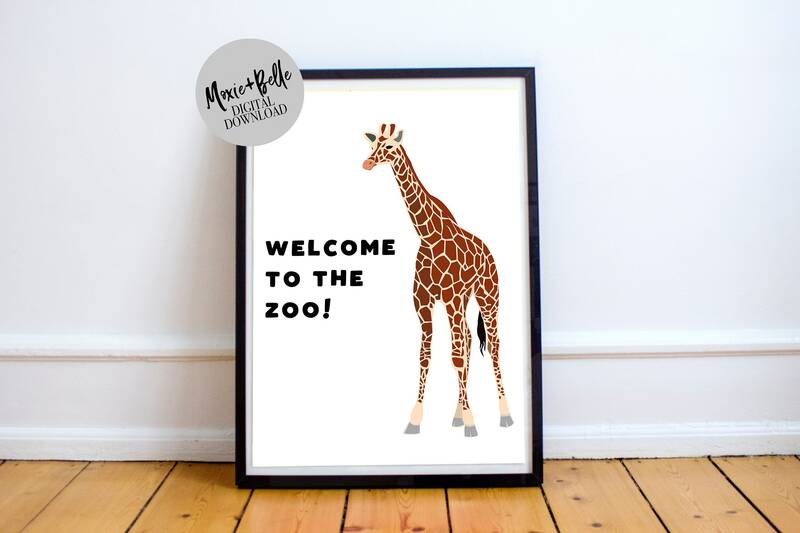 Our 'Zoo' print will look amazing in your home and is easily customized into 20+ standard frame sizes. 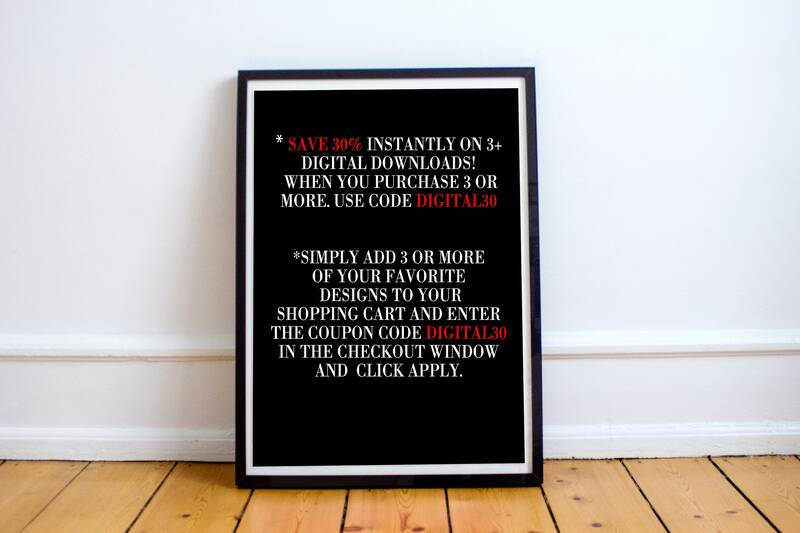 You get an instant download which includes 5 high-resolution files and an instruction sheet to help you choose the right image for your frame size to print at home, take into your print shop or upload to an online print service. 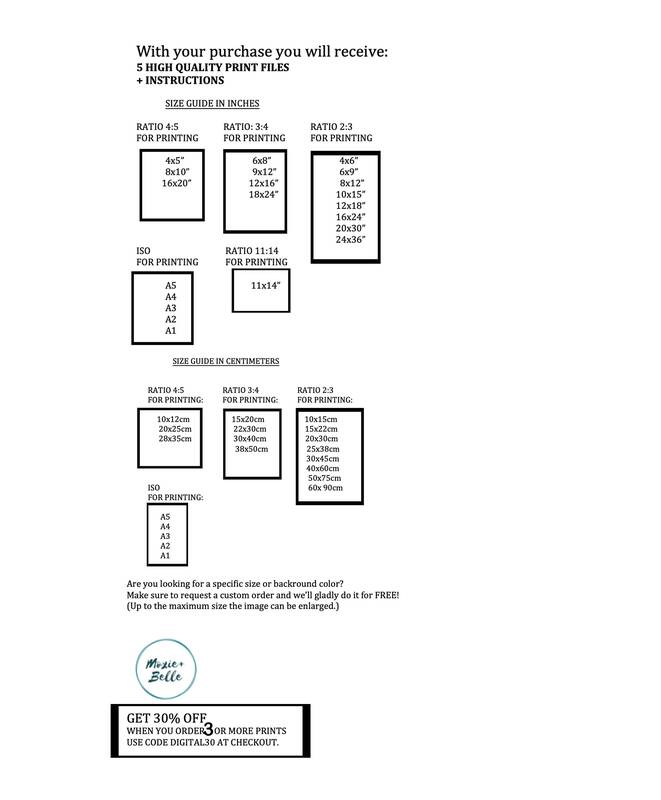 Be sure to go ahead and do a test print as print color and quality vary by print location. Colors may vary slightly due to viewing different monitors. This listing is for a digital download. No physical product will be shipped and the frame is not included. After the checkout process, you will receive an email that your payment has been processed and it will include a link to your download. Alternatively, you can access the files from your Etsy profile by clicking on your purchase + reviews section. Please download your files which will contain an easy step by step instructions! File 01 for printing - 4"x5", 8"x10", 16"x20", 40x50cm. File 02 for printing - 6"x8", 9"x12", 12"x16", 18"x24". File 03 for printing - 4"x6", 6"x9", 8"x12", 10"x15", 12"x18", 16"x24", 20"x30", 24"x36"
File 05 for printing - 11"x14" and zipped together with an instruction sheet. Absolutely! I offer prints in the following sizes 8x10, 11x14, 16x20 and 20x24 Inch. This artwork is for your personal use only no commercial use or resale is allowed. Thanks so much for stopping by my shop! I hope you have enjoyed your visit and hope to see you again! PS. We love seeing our prints in their new homes. I accept accept credit cards, debit cards and Etsy gift cards. I also accept PayPal: PayPal accepts all major credit cards and you do not have to have a PayPal account to send money. PayPal is great because it is secure for you as the buyer - I have no access to your credit card and you cannot be charged any additional fees. Orders that are not paid for within 7 days will be cancelled. Discounts may be applied to multiple purchases. Please contact me for more information. I put a lot of effort into my designs and want to ensure that you the buyer is completely satisfied with your purchase. Please be aware that colors can vary from monitor to monitor. I do not accept refunds or exchanges after your order has been placed. All of my items are custom, made to order, and I work with professional printing labs and manufacturers to complete the design process. After an order has been placed, I am not able to cancel the order. The only exception to this is If your item arrives damaged. Please contact me with a photograph of the damage within 7 days of receipt for a refund or exchange. I stand by the quality of my products and do my best to ensure that you are entirely happy with your purchase. Please note that you are responsible for the postage cost to return items. Refunds due to customs fees and/or taxes will not be accepted. All of my digital files are sent as jpeg files in RGB colour mode. 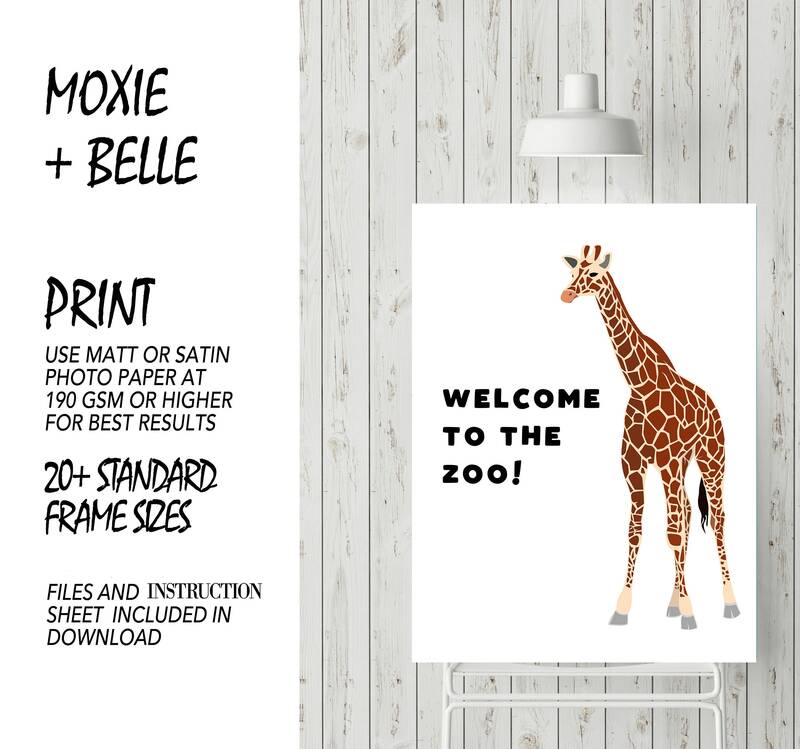 As the buyer, you are purchasing the digital file (and the right to print it for personal use) Moxie+Belle (Suzanne Carter) still holds the copyright for the design - please do not claim it as your own. Please be sure to check my shop announcements for any upcoming holiday notices or extended wait times during busy seasons! All images of Moxie+Belle (Donna Carter) are Copyright protected worldwide. Moxie+Belle (Donna Carter) copyrighted images and trademarked name may not be used for resale or reproduction without legal permission. Please do not copy or alter my designs or any commercial use without written permission from the copyright holder. If you are interested in licensing or wholesale orders, please contact me for details. PS. We love seeing our prints in your homes. © Moxie+Belle (Donna Carter) 2018. All rights reserved. This policy is to inform you of the type of personal information the site collects and how it is processed and used, per US/EU Privacy Guidelines. When accessing the Website, we will learn certain information about you, both automatically and through voluntary actions, you may take, during your visit. This policy applies to information we collect on the Website and in email, text, or other electronic messages between you and the Website. When registering or commenting on our site, as appropriate, you may be asked to enter your contact or other details to help you with your experience. We collect information from you when you arrive or enter information on our site. You can choose to have your computer warn you each time a cookie is being sent, or you can choose to turn off all cookies. You do this through your browser settings. Since every browser is a little different, look at your browser’s Help Menu to learn the correct way to modify your cookies. If you turn cookies off, Some of the features that make your site experience more efficient may not function properly and may not function properly. My list service provider is MailChimp. If you elect to subscribe, your email address will be stored on their servers. You can access your info any time by clicking the Manage Subscription link at the bottom of any email you receive from me. I never have, and never will share your email address with any person or entity for marketing purposes. That includes Facebook. I will never upload my email list to that platform or any other. An IP address is an anonymous bit of data dropped by all site visitors (both human and bots). It is tracked by the following entities for better security, content creation, and marketing purposes. Your browser may also send response headers with generic/anonymised information about the type of browser, computer/device, and ISP you are using, and your location by country only. Moxie+Belle may link to helpful info and resources provided by other bloggers and vendors. Clicking on those links or enabling those connections may allow third parties to collect or share data about you on their site. I do not control these third-party websites and am not responsible for their privacy statements. When you leave Suzanne Carter Designs, I encourage you to read the privacy notice of every website you visit. The security of your Personal Information is important to us, and we strive to implement and maintain reasonable, commercially acceptable security procedures and practices appropriate to the nature of the information we store, in order to protect it from unauthorised access, destruction, use, modification, or disclosure. However, please be aware that no method of transmission over the internet, or method of electronic storage is 100% secure and we are unable to guarantee the absolute security of the Personal Information we have collected from you. We employ commercially reasonable methods to ensure the security of the information you provide to us and the information we collect automatically. Email is not recognised as a secure medium of communication. For this reason, we request that you do not send private information to us by email. However, doing so is allowed, but at your own risk. Credit Card information and other sensitive information is never transmitted via email. You can disable cookies through your own browser settings. Check with the browser vendor for more info on how to do that, if you wish. • Honour opt-out/unsubscribe requests quickly. We will retain any information you choose to provide to us until the earlier of (a) you ask us to delete the information, (b) our decision to cease using our existing data providers or (c) the Company decides that the value of retaining the data is outweighed by the costs of retaining it. To the extent that you provided consent to our processing of your personal data, you have the right to withdraw that consent at any time, without affecting the lawfulness of processing based upon consent that occurred prior to your withdrawal of consent. Moxie+Belle makes no representation, warranties, or assurances as to the accuracy, currency, or completeness of any privacy policies of 3rd party entities that information is shared with.